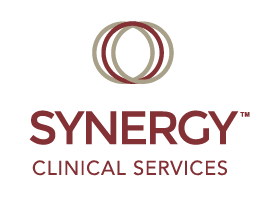 At Synergy we believe in an integrative approach to treatment that stems from our multi-faceted mission statement. A part of our integrative approach includes the utilization of medications to treat symptoms in order to increase treatment outcomes and improve the quality of life for clients. Our medical professionals are here to provide you the best care possible and work with your support team in developing a treatment plan tailored to your needs. What will happen at my first appointment with my provider? A review of symptoms related to the most common psychiatric diagnosis. A comprehensive psychiatric history including previous treatments, hospitalizations, and medications. Medical history consisting of current medical problems and surgeries. A family history of psychiatric illnesses. Social history regarding cultural considerations, work, school, and relationships. A diagnosis is commonly established and a treatment plan will be established between you and your provider that may include the use of medications. Laboratory testing, as well as other tests, may be obtained to clarify the diagnosis or to rule out medical causes. How often will I need to see my provider?